We naturally want to spend the money we earn — and we often don’t think ahead about expenses that could be forthcoming! We’ve all made New Year’s resolutions, and they can often be disastrous, with 80% of people failing by February and regretting it instantly — have you managed to keep yours up? One of the most common New Year’s resolutions is to cut down on spending, and although this sounds achievable, if you don’t have a fully-pledged strategy in place, the likeliness of failure spirals out of control. With unexpected expenses having the capability of arising at any time, it’s important to make savings ahead of time. It all adds up. For that reason, we’ve teamed up with Stagecoach, which offers cheap bus prices, to make some assessments on how those extra savings can come in handy if something like that was to occur. If you change the way you commute to work, you could potentially see huge savings. Using a megarider ticket, you will be able to travel as much as you want and can tailor your own needs to the ticket type. Whether you’re in need of a weekly bus pass for your travels, or a monthly one — you will find yourself making a huge saving in comparison to paying for single bus fares every day. Calculations that detect how much the average person will spend on their own vehicle in their lifetime comes to £168,880. With efficiency growing in public transport, there is no reason for you not to consider making the bold move that could help you fulfil your resolution this year and save you a fortune. The main contributor to this price was petrol, which totals £1,052.04 annually. Servicing a vehicle costs can add up to £441 over a twelve-month period — which can change depending on the individual’s situation. MOTs can cost up to £168.46 annually. Cost of parking is on the rise, and with more vehicles on the roads, there seems to be a higher demand. Over the year, a motorist can find themselves paying £145.80 on parking. When it comes to insurance, this can sway dramatically as younger drivers will find themselves paying a higher cost to be on the road — on average, insurance costs an experienced driver £436 every year. Tax can equate to £116.35 on a yearly basis. Car supplies can cost a driver £29.61 and if you were to go abroad and wished to drive, holiday rental cars can leave you £180 out of pocket. Speeding tickets equal £25.12 for the average driver here in the UK. This would cost a driver £2,594.38 in total where commuters find themselves paying considerably less for a significant service — imagine the saving you would make with a megarider ticket! With over 21,000 coffee outlets here in the UK — the average person visits these establishments three times per week. This means that Brits visit coffee shops around 156 times a year with an average spend of £8.52 — with travel expenses, this could go up to £13.85. This creates an annual average spending of £2,600, a majority of which could be saved if you were to opt for taking your own coffee to work. Making your own coffee can save you a fortune, with a 250g pack of Douwe Egberts making 30 cups. When looking to see how much a 1kg pack would cost, Amazon has priced the coffee at around £15, meaning that each cup of coffee would cost close to 13p. Try taking a flask to work and even purchasing an on-the-go coffee cup that will see you through your day. Apart from adding major health benefits to your life, if you quit smoking 20 cigarettes per day on average you could save £3,796. MoneySupermarket.com has stated that non-smokers pay around £6,309 less for life insurance, which could be something worth investing in for the new year. More smokers are taking the route of vaping. 10ml bottles of liquid cost around £5 on average — saving those who turn to vaping around £1,900. As more food trucks appear on business parks, it has become an easier option to buy lunch during work hours rather than preparing it at home. But what if we told you that, on average, forking out for lunch every day could cost you £1,288 according to research carried out by VoucherCloud. Evidently, you could make a huge saving by preparing your lunch at home — whether this is making a quick sandwich or taking in a tin of microwavable soup to heat up. When we looked at the total working days in 2017, there was 252 — if we went by Poundland’s price of tomato soup, which is 50p, you would find yourself paying £126! A massive saving for anyone looking to cut down on costs. Household expenses are awfully common, with 54% of people they have experienced one, but were financially unprepared to deal with it. 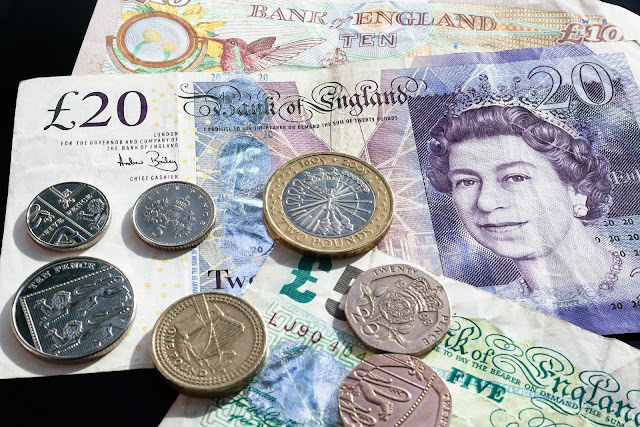 On average, these costs totalled £248.70 — showing that any saving is beneficial for occurrences like these. 47% of these issues happened in the kitchen, a room which is essential to the day-to-day running of any home, and if you don’t have the money to pull out instantly, it could cause an everyday stress. Using the savings you would have made by taking your own lunch and coffee to work, quitting smoking, and travelling smarter — you will be able to make life easier. It was also found that 35% of people had to use a credit card to cover the costs of unexpected expenses. With 18% of them not being able to pay more than £100 on their own, 17% had to borrow from friends and family! 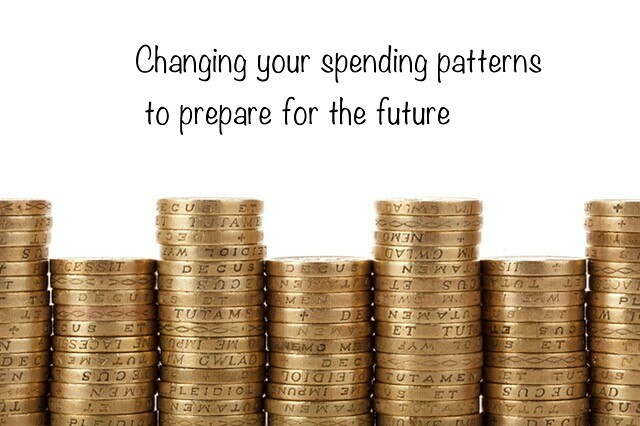 What changes will you be making to prepare for unexpected expenses? What a friendly reminder on having an extra amount of money stashed for likely expenses that will come up. I’ve been having a lot of coffee lately and will have to stop going as much. Good for the wallet and my body.